Footage recorded by police body cameras are vulnerable to hacking and can be easily edited, manipulated or deleted, while the officer wearing it may be tracked and surveilled, a cybersecurity expert has revealed. Bodycams came into being to aid transparency in policing operations and protect both officers, from defamation and false claims, and civilians, from excessive use of force, but the devices are not free of problems. “These videos can be as powerful as something like DNA evidence, but if they’re not properly protected there’s the potential that the footage could be modified or replaced,” Josh Mitchell, a tech expert with Nuix, told the DefCon conference at the weekend, according to Motherboard. DefCon is the world’s largest hacker conference held annually in Las Vegas, where hackers and cyber security experts try to break into all kinds of computer security systems, highlighting how easy it can be to manipulate software and hardware. At this year’s event, Mitchell demonstrated security vulnerabilities in five different body cameras used by police across the United States, namely Vievu, Patrol Eyes, Fire Cam, Digital Ally and CeeSc. To support his claim, he showed how footage and associated metadata, including location, time, and date of the footage, can be doctored or deleted by a hacker. “I can connect to the cameras, log in, view media, modify media, make changes to the file structures. Those are big issues,” he said, as cited by Wired. According to Mitchell, software and data are not encrypted in the cameras to ensure that they are not altered. Therefore, a perpetrator could upload malware on the device and get full control over it. Moreover, the videos themselves have no cryptographic protection verifying their integrity. This means that a hacker can potentially plant or edit video files on the device without the owner noticing it. The expert found out all of the cameras – except for those from CeeSc – expose officers to risk as they have WiFi capability. Thus, anyone with a WiFi receiver could also track cops wearing the device. “In the military a very important and often overlooked thing is the ability to locate something in the field and be able to identify the emitter and platform,” Mitchell said. Even more troubling is the revelation that the Vievu devices may act as WiFi access points on their own, which means that other devices can use the bodycam to connect to the same network, also contributing to a number of vulnerabilities. Vievu cameras can also be turned into a livestream device by an attacker with sufficiently powerful WiFi antenna. Body-worn cameras are often used by law enforcement agencies in the US and beyond to record their interactions with the public or collect video evidence at crime scenes. 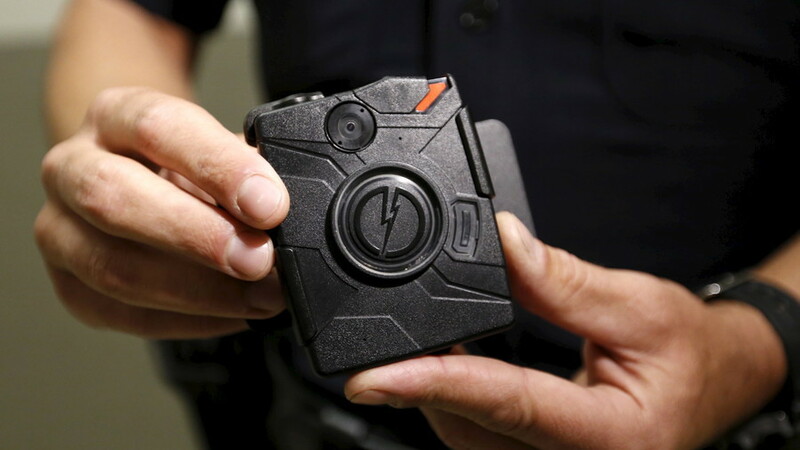 Mixed reports showed the device helped increase both officer and citizen accountability, although critics argue bodycams primarily protect police.